A white, bright smile is a confident smile. Our professional teeth bleaching procedures are straight forward and effective at whitening teeth quickly. Obtain the bright smile you’ve always wanted with teeth whitening! Your smile is the first thing most people notice, and teeth whitening can make your smile stand out in a crowd. You will feel more confident in any social situation after one of our teeth whitening procedures. Now with ZOOM! you can whiten your teeth in even less time than before. Our practice offers two different types of tooth whitening procedures for the residents of Del Mar, Rancho Santa Fe, and Solana Beach. At Dr. Rosenfeld’s office, you can take advantage of ZOOM! and leave with a whiter, brighter smile today. ZOOM! is an in-office teeth whitening procedure that can whiten your teeth in about an hour. With ZOOM! Dr. Rosenfeld has been able to whiten teeth up to eight shades whiter in one appointment. With a ZOOM! tooth whitening procedure, you will notice the difference in your smile immediately. If you’d rather take a more gradual approach that will still produce incredible results, Dr. Rosenfeld can also whiten teeth with home whitening trays. 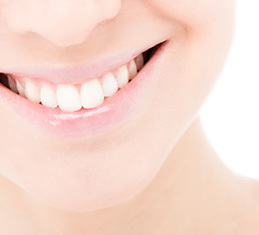 This tooth whitening procedure is effective and easy to use. The teeth whitening trays are custom-fit for your mouth. We will supply the trays and the gel, and you can apply them to your teeth at your leisure in the comfort of your own home. Simply apply the gel to the trays, and place the trays over your teeth for an hour or two. No matter which of our two excellent tooth whitening methods you choose, we can whiten your teeth and get you the whiter smile you’ve always wanted. We want all of our patients to enjoy teeth that are as beautiful as they are healthy. Whether you choose ZOOM! or teeth whitening trays, we have a tooth whitening method that will work for you. To find out if teeth whitening is right for you, and which method would work best for you, give us a call at our Solana Beach office today. We can discuss the details with you to figure out which teeth whitening method would be right for you.